AP ECET is a state level entrance exam which is conducted for the diploma holders and B.Sc (Mathematics) degree holders. 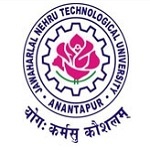 AP ECET is organized by the Jawaharlal Nehru Technological University, Anantapur and AP ECET Application Form 2019 will be published through online mode on the behalf of Andhra Pradesh State Council of Higher Education. Candidates can get admission in the lateral entry of B.E./B.Tech and B.Pharmacy, through this test. Candidates can get detailed information about AP ECET Application Form 2019 in the article below with steps to fill the application form. Application form can be accessed from the fourth week of February 2019 through online mode only. Applying candidate must have the valid Aadhar card to apply. Candidates have to pay the additional fee for the late application form. The correction will be provided in the third week of April 2019. To fill the application form, be ready with passport size photograph and signature in .jpg or .jpeg format with 50KB size for photograph and 30KB for signature for uploading. Do not forget to take the printout of the application form. Candidates will able to fill the online application form till the fourth week of March 2019. Navigate the official website to fill the application form. The fee will be paid in the first step. After that click on ‘Fee Payment’ tab and pay the fee. Click on ‘Initiate Payment’ button and you will be redirected to the payment page. Select the payment option and click on ‘Pay’ button. A ’registration ID’ will be generated, on submission of application fee. Use the payment ID to fill the application form. Candidates can also check their payment status by clicking on ‘Know Your Payment status’ tab. Now click on ‘Fill Application (only after fee payment)’ tab. Fill all the details asked therein carefully and accurately and click on ‘Save’ or ‘Preview/Submit’ button. Upload the scanned images and click on ‘Save’ button to save the data. Candidates can select ‘Modify and Confirm/Freeze’ as per their choice. At last, candidate can take a printout also. Click on the “Print Application Form” option and take a printout of it. Candidates have to submit Rs. 500/- towards the application fee. The application fee can be paid through AP online services (in cash). The application fee can also be paid through payment gateway (credit card/debit card or net banking). The Exam will be conducted in Online Exam (Computer Based Test). The Exam will be conducted in 200 Objective type questions. There no negative marks for wrong answers. Candidate must be a citizen of Indian. Candidates should fulfill the local/non-local status requirements laid down by the AP state government. Candidates should have Diploma in B.Tech/Pharmacy from the State Board of AP with 45% marks in aggregate for general category and 40% marks for reserved category. Those having 3 years of B.Sc Degree or its equivalent with Mathematics from AP state can apply. Those studying in their final year/semester of the diploma can also apply.